Gone are the days when mobile games used to be small applications with pixelated graphics, negligible interactions, and a very simple playing mechanism. With the continuous technological evolution of mobile devices in terms of both hardware and software, they are now just as powerful as the high-end games played on desktop computers and gaming consoles. Unlike old-fashioned games, mobile games today feature superior-quality visual elements, carefully chosen interactions, outstanding storylines, marvelous soundtracks and a relatively more complex game mechanics. Consequently, developing a mobile game that will definitely be loved by players has become a quite challenging task for developers. To make your mobile game successful and profitable in today’s highly competitive gaming industry, not only you must be familiar with the key characteristics of a successful mobile game, but also you need to keep yourself updated with what’s new, hot and happening in the mobile game development arena. To help you out, this blog post covers everything you need to know about developing a spectacular mobile game and leave your mark in the gaming industry. 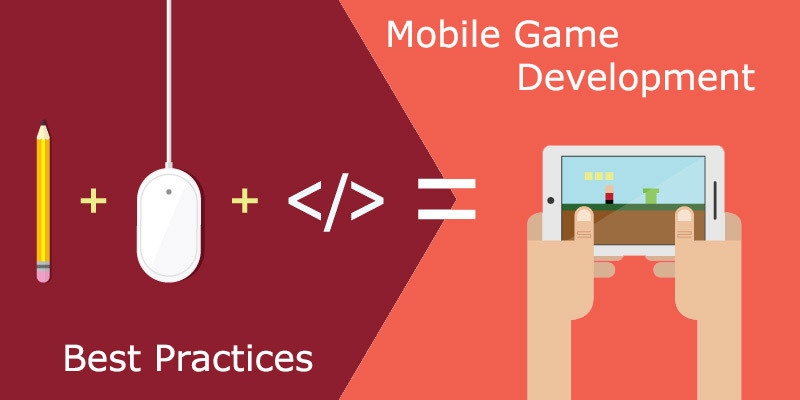 Let’s get started with the key elements that make a mobile game truly successful. Does your mobile game have a very small footprint? Does it take less RAM on users’ devices? Does it open immediately after the user taps the game icon? All such questions must be taken into consideration during the development to ensure your mobile game is as fast and lightweight as it can be. Best Example: Take a look at these Mobile Games under 25MB. No matter what kind of mobile game you’re planning to develop, keeping yourself acquainted with latest technologies and trends is always a good idea to develop a great game as well as to reduce your risk of game failure. 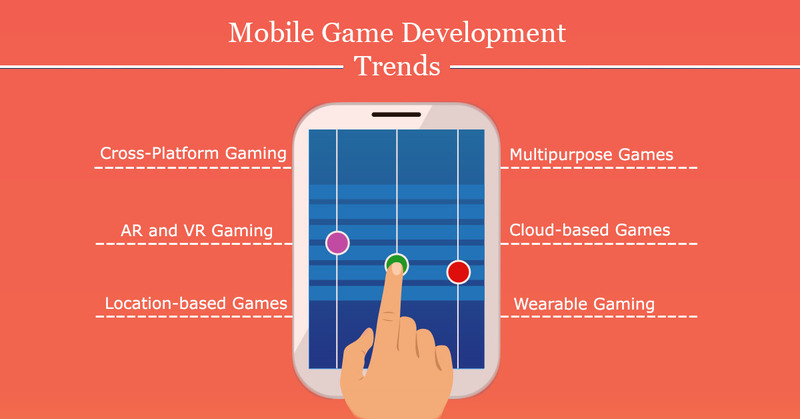 Skim through some top mobile game development trends which if you follow will make your game sizzle in the industry. While the AR (Augmented Reality) technology has already taken the mobile gaming industry by storm with immersive games like Pokémon Go, The Machines, Ingress, and more, we can expect VR (Virtual Reality) and MR (Mixed Reality) technologies to breakthrough in the mainstream industry in the years to come. However, most of the VR mobile games are still in the development phase. With the continuous evolution of Wearable Gaming Devices, mobile game developers will look to incorporate AR and VR technologies to deliver users a quick to play, fully immersive gaming experience. Although mobile devices will continue to remain popular due to their large screen gaming experience, wearable devices will also prove to be a mass alluring platform in upcoming years. Despite being a relatively new concept, cloud-based gaming is now being preferred on a large scale by gaming companies and individual developers alike. The beauty of these games is that they can be played even without downloading or installing the core app. With the introduction of cloud gaming services like GeForce Now, Playkey, and LiquidSky, this trend will touch a whole new level in 2018. Just like you love to access every other application on multiple devices and platforms, players love those games which are fully platform independent and can be played on multiple devices like desktops, laptops, mobile phones, and tablets. As building a cross-platform game also enhances developers’ chances of getting discovered easily by users, this trend will also continue to rise in 2018. Mobile games are no longer limited to just kids or youngsters. They are now being played by people of all age groups, including adolescents, elderly people, grown-up youths, sensible ladies, and even disabled people. With hundreds of mobile games released in 2017 for different age groups, this trend is expected to dominate the mobile gaming industry in 2018. Personalization and customization are two key factors that determine the interactivity and engagement of a mobile game. There is a very basic difference between both: customization means control in user’s hands and personalization means controls shifted to the application itself. For example, the Six Guns game app lets you customize your character with a variety of clothes; on the other hand, the Zenonia 4 game app personalizes your character on the basis of stat points and skills to learn. Although this trend is not new, it is expected to stay here for a long time. Given that mobile devices are an integral part of people’s daily lives, more and more games today are being developed with learning, education, lifestyle, and health in mind. The main purpose of such games is to educate users by learning through games. While games like Memrise and Habitica are already ruling the market, 2018 will introduce a whole new generation of multipurpose games to users. The worldwide availability of the high-speed Internet and crave for social media has fueled up the development of multiplayer mobile games in recent years. In addition to the Internet, some of these games can also be played locally via Wi-Fi, Bluetooth, Infrared or similar technology. The industry is sure to keep this trend going as the interest of users in social media is increasing day by day. Mobile games that are played using a localization technology like GPS or satellite positioning are called location-based mobile games. Unlike a typical mobile game, where it doesn’t matter where exactly you are, your location and movements are the key elements in a location-based mobile game. 2018 will see a continuous growth in the development of such games. Millions of mobile games are launched every day, but only a few of them are able to survive the fight to stay long in users’ devices. Wondering what does it take for a mobile game to become a huge hit in the market? Take a look at some of the best practices required to make a mobile game insanely lucrative and successful. An original idea is all it takes to build a successful mobile game. Your mobile game is a product and every successful product has a unique selling point. Understand the current market and try to come up with something innovative and engaging. If you succeed to generate a unique game idea, it simply means you have achieved half your success. Try to come up with something innovative and engaging – like these never-before-seen examples of mobile games. Having a unique game idea doesn’t make any sense unless you create a Game Design Document (GDD), which is a highly descriptive and detailed document outlining every single aspect of the game design. Usually created and edited by the collaboration of designers and developers, a GDD provides you an easy way to get feedback from others and make your gaming project as better as possible. Compelling User Interface and Seamless User Experience are two things that make a mobile game engaging and successful. Instead of overwhelming users with too many complicated controls, consider creating a set of tutorials to make them familiar gradually with all the controls. Also, try to keep your design elements as lightweight as possible for a flawless and fast user experience. Develop your mobile game for all popular operating systems, specifically Android, iOS, and Windows. 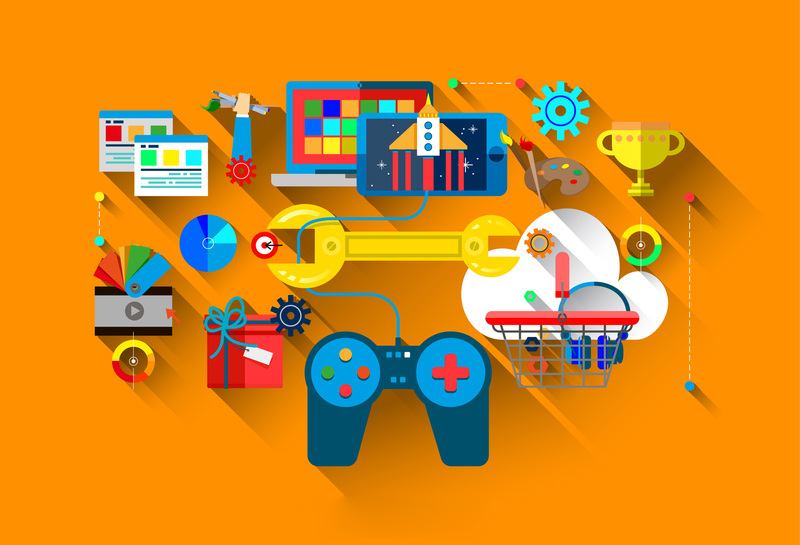 Luckily to save your valuable time, efforts and money, there are a number of mobile game development tools (I’ve listed a few of them below) available in the market today which support the seamless deployment of mobile games on multiple platforms in one go. Take full advantage of them and make your mobile game platform independent. Social media is not only a great way to gain traction and word of mouth publicity but also a perfect place to drive a lot of engagement for your mobile game. So whenever and wherever possible, don’t forget to include social media features such as social login, invites/referrals, in-game chatting or calls, status updates, etc, in the mobile game you’re developing. Once the first playable version of your mobile game is available, ask beta testers to test it rigorously for bugs, glitches, and fixes. This will not only help you eliminate critical game errors but also will help you improve the game on the basis of feedback received from beta testers and users. 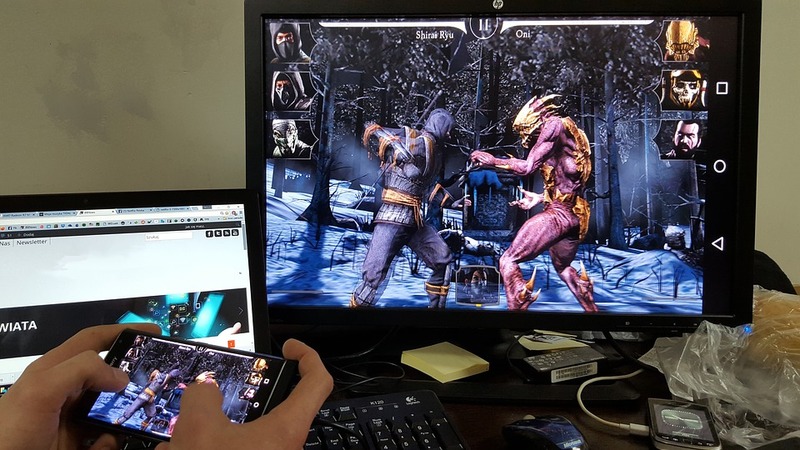 Rigorous Testing in both alpha and beta testing phases is inevitable to make sure the mobile game is as perfect as possible before release. Choosing the right tool not only speeds up the entire game development process but also impacts the ease with which you develop the game. 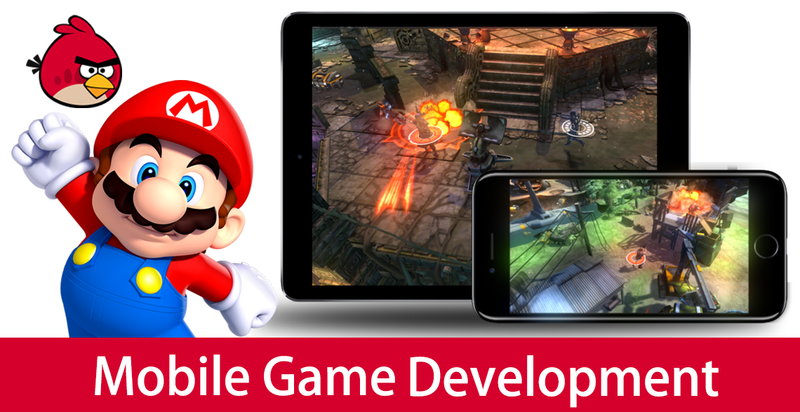 Listed below are some popular tools to help you get started with mobile game development. Developed by Corona Labs, Corona SDK is an extremely powerful and lightweight cross-platform game development kit used to create high-quality 2D games for all major platforms, including Android, iOS, Windows and OS X. It uses easy-to-learn Lua as its scripting language and is completely free to use irrespective of you’re an individual developer or a large publisher. Lumberyard, developed by Amazon, is a fully customizable cross-platform triple-A game engine based on the architecture of CryEngine – another game development engine designed by the German company Crytek. While Lumberyard comes packed with a number of tools to help developers quickly and easily create AAA quality games, it also let them harness the power of Amazon Web Services to build or host their multiplayer games on Amazon’s powerful cloud servers – probably the best feature of Lumberyard. Rewarded as the ‘most successful video game engine’ by the Guinness World Records in 2014, Unreal Engine 4 is one of the most popular and widely used game engines for cross-platform game development. It uses C++ as the scripting language and offers developers several fairly unique features such as Advanced AI, VFX and Particle Systems, and the creation of VR, AR, and XR (Extended Reality) experiences. Needless to say that Unreal Engine 4 is an ideal choice for 3D mobile game developers. AppGameKit is an easy to use, instant game development engine designed with newbie developers in mind. Utilizing the concept of ‘write once, deploy everywhere’, it allows you to quickly code your mobile game on Windows, Mac or Linux devices and then let it easily export to run on Android, iOS, and Windows devices. Whether you’re a hobbyist or a professional, you’ll have your game up and running in a very short span of time with this amazing tool. 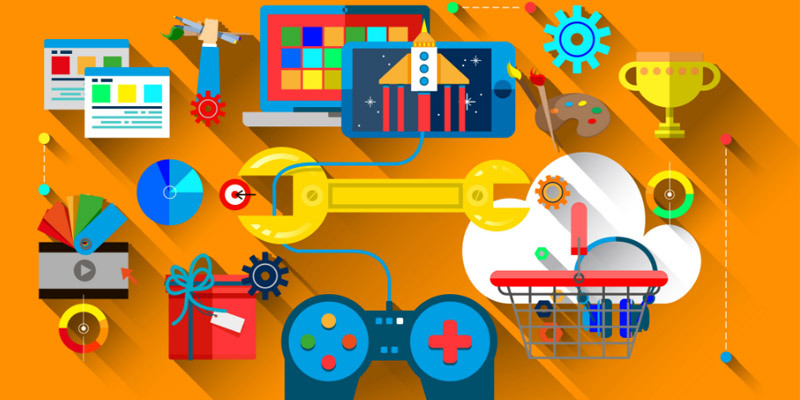 Apart from the above-listed cross-platform tools, there are several other mobile game development tools that are platform-specific. For example, Apple offers SpriteKit and SceneKit to let developers easily build 2D/3D mobile games. On the other hand, Candroid and Cocos2D for Android are two most popular tools for developing 2D games for the Android platform. Additionally, you can also try countless drag-and-drop mobile game builders available in the market today, such as GameMaker, Stencyl, GameSalad, and LiveCode – most of which don’t require any coding knowledge. Despite all these awesome tools, you’re highly recommended to use cross-platform tools to save a lot of your precious development time, efforts, and money.